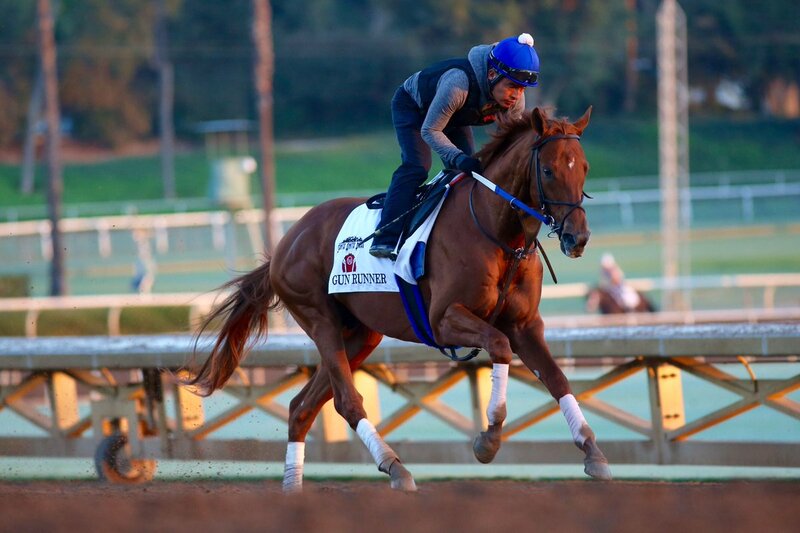 The Breeders’ Cup is considered by many as the world championship of the sport, as horses from all over the globe flock to North American to take part in the two-day meeting. This year’s renewal takes place at Del Mar as the meeting returns to California, where it was held in 2012, 2013, 2014 and 2016 at Santa Anita on November 3 and 4. Here is a look at the best bets for the two days. The Breeders’ Cup Classic is the feature race of the meeting and a race that has produced so many great memories over the years. This time around, we are set to see the clash between Arrogate and Gun Runner for the very first time in what should be a fascinating contest. ARROGATE: 4-Y-O Grey Colt, winning 7 out of 10. The defending champion started the year strongly with victory in the Pegasus World Cup back in January where he blew away a strong field at Gulfstream Park by over four lengths. Since then he has only won one of his three starts which suggests his form is not as strong as it was leading into the Breeders’ Cup Classic in 2016. GUN RUNNER: 4-Y-O Chestnut Colt, winning 9 out of 16. As of 5th October, Gun Runner is the 7/4 odds with online sites to win the 2017 Longines Breeders’ Cup Classic as he has won his last three races, all at Grade One level in comfortable fashion. On his most recent run, the Woodward Stakes at Saratoga, he prevailed by 10 lengths. This will be his toughest test of his career but a win would help him earn the tag as the best dirt horse on the planet. VERDICT: After the way Arrogate scored in this race in 2016 he is sure to have his supporters to become the first horse in 17 years to win this contest in back-to-back years. His form has to be a concern, though, as he was way below his best at Del Mar on his last two starts. GUN RUNNER looks to be getting better with every run this season and as long as he brings his ‘A game’ to Del Mar he is surely the horse they all have to beat. This could be the first step of completing a treble with Pegasus World Cup and then Dubai World Cup at Meydan in March. This race has been dominated by European horses in recent years as seven of the last nine winners have come from Europe. The betting for this year’s contest is also headed by horses from the UK and Ireland. ULYSSES: 4-Y-O Chestnut Colt, winning 5 out of 13 turf races. Sir Michael Stoute’s runner has been one of the most consistent middle-distance runners in Europe this season. 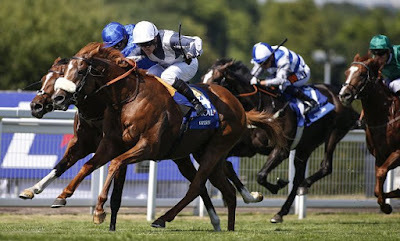 He has won three of his six starts, with Group One successes coming in the Eclipse Stakes at Sandown and the Juddmonte International at York. The concern going into this race is that it has been a long year for him as this is set to be his seventh start in what has been a tough campaign. FRONTIERSMAN: 4-Y-O Brown Colt, winning 4 of his 12 turf races. As of 5th October, the Charlie Appleby-trained Frontiersman looks over-priced at 20/1 and at those odds you can use a staking strategy if you want to have more than one horse in the race. This four-year-old is very much capable of finishing in the frame at the very least at Del Mar. He won a Listed race at Newmarket on his latest start, while earlier in the year he was second in the Coronation Cup at Epson where he came home just over a length behind the 2016 Breeders’ Cup Turf winner Highland Reel. VERDICT: Ulysses deserves to be at the top of the market for this contest as his form this year suggests he is the best horse in the race. The big concern though is that this contest may be one too many for him in 2017. FRONTIERSMAN has run at the top for the last couple of years and has to be respected in this contest. He may well be staying on strongly in the closing stages so he looks cracking value as an each-way selection against the favourite. Good luck if you having a bet at the Breeders’ Cup meeting where are 13 races in total across the two days in California.